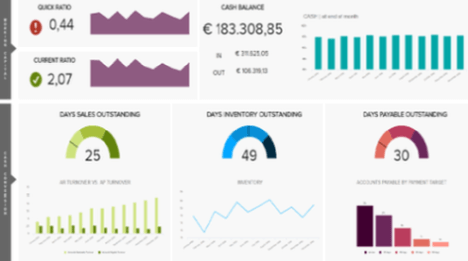 A marketing dashboard enables to track and communicate important marketing KPIs in an efficient way within your company. It allows marketing professionals to monitor pre-defined goals in detail and helps to identify and compare different measures to increase the overall marketing effectiveness. 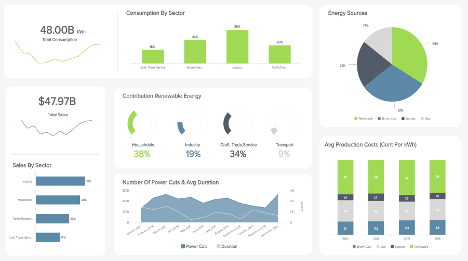 Among other things, marketing dashboards analyse and visualise web analytics data, marketing campaign metrics and performance measures such as the return on investment (ROI). Many companies use Google Analytics (GA) as an easy and affordable way to track visitor behavior on their company website. To gain a deeper understanding of your visitors, tracking is of course just the first step. 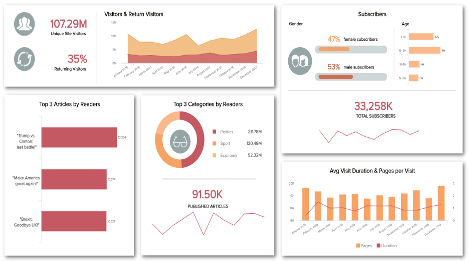 A well designed Google Analytics dashboard will give you an ideal overview of your all your major website KPIs. 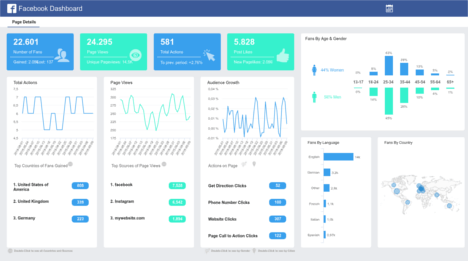 The web analytics dashboard allows you to aggregate all tracking information so you can keep an eye on all major analytics with ease. The most basic information such as how many visitor you have over a period of time, and if they are new or returning can sometimes be the most important. This is why this data is highly visible and we made it easy to see at a glance if there have been any major changes. 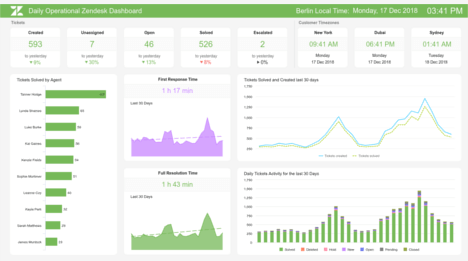 Monitoring your traffic sources probably is the second most used feature of web analytics, so we made it as easy as possible. You can easily see where you traffic is coming from and monitor if you are gaining more visitors by direct traffic, organic means, paid search, display advertisement, referrals or social media. By monitoring which traffic sources are working the best, you can tailor your time and budget accordingly. But quantity is not everything. 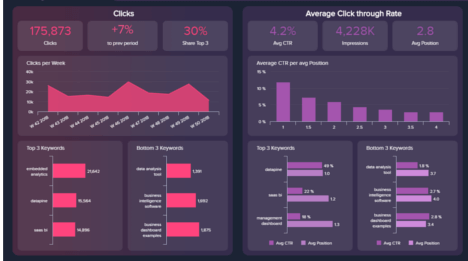 This is the reason our online marketing dashboard example also lets you dive in to track critical KPIs like bounce rate, average visitor session duration, and average pages per session. You want to dig deep and understand your visitors? These metrics enable you to qualify the quality of your traffic and draw conclusions from your data. For example, if your bounce rates are high it signals the dissatisfaction of the user, and lets you know that it is time to reexamine your content and your Unique Selling Proposition (USP). Ultimately, what you want are conversions. You want your visitors to take a defined action (=conversion), such as signing up for your newsletter, start a free trial or buy your product. 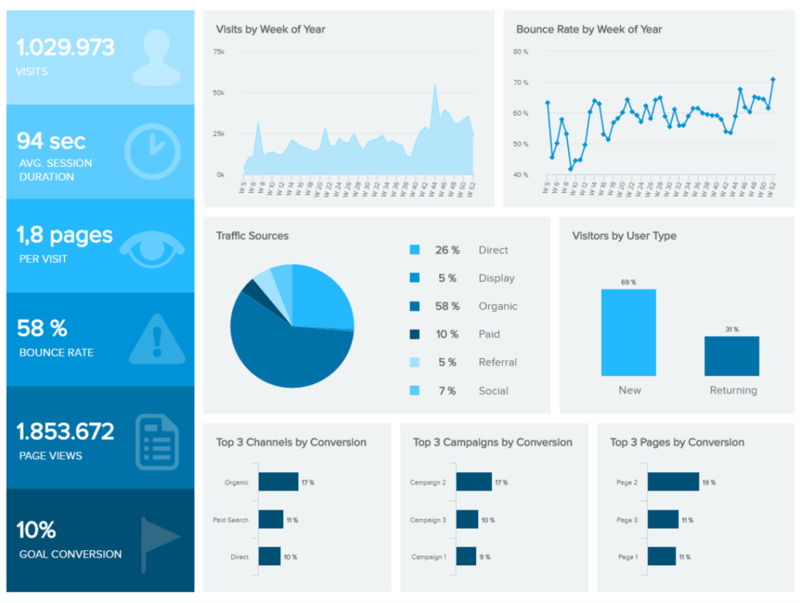 We know how important it is to be able to monitor the conversion rates, which is why we made sure our marketing dashboard template lets you monitor them in an instance. 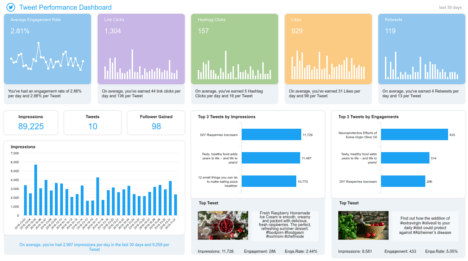 A well-designed marketing analytics dashboard provides you with your conversion rates so you can see if your website is meeting your business goals. This is what business is all about, and our marketing dashboard example allows you to compare your conversion rates by channel, campaign or landing page and easily identify the most valuable pages and sections on your site. 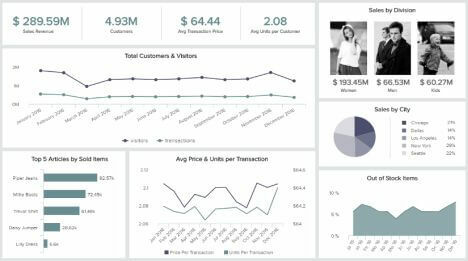 Concerned about how to create a well-designed dashboard? Good news! 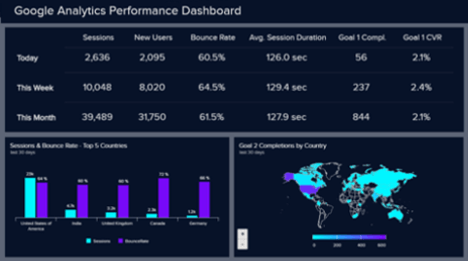 datapine offers predefined Google Analytics dashboards that you can easily set up yourself in under two minutes. 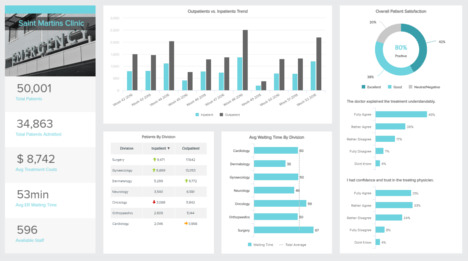 This marketing dashboard template provides the perfect overview of all your marketing performance data across all your different marketing channels and campaigns. The important question is: how much are we spending and what had we planned for this campaign? 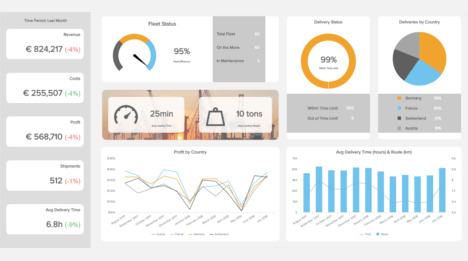 This is why our dashboard starts by measuring your total costs vs planned costs which compares if your costs goals are actually in line with what is feasible. 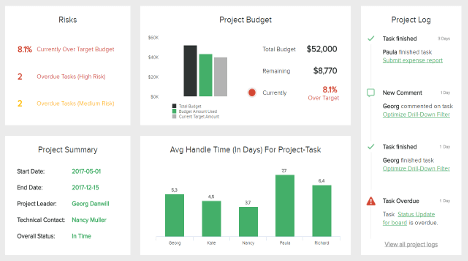 At a glance you can see if you are on target to meet your marketing budgets for every single campaign. This makes planning and executing marketing goals much easier. 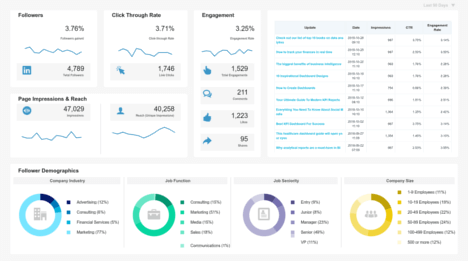 The marketing performance dashboard then takes a look at the click through rate (CTR) of your paid search campaigns. 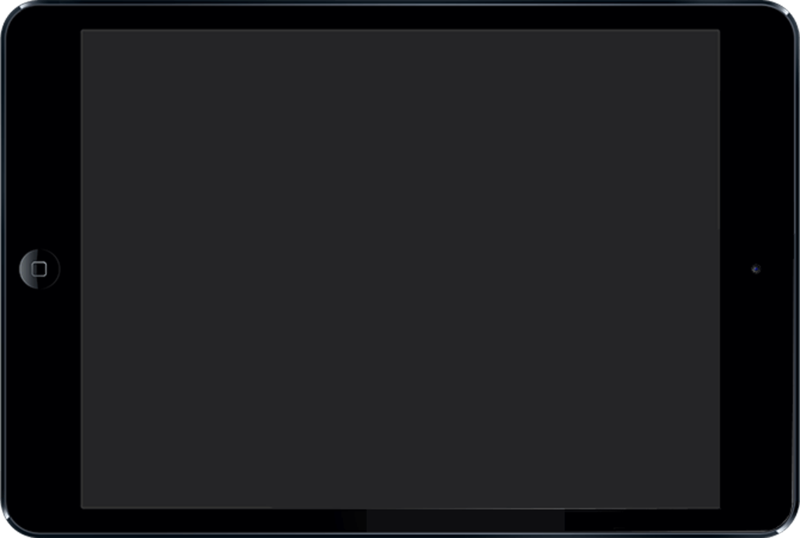 This is the connecting step between getting the customer to notice you and actually click on your advertisement. Compare the CTRs for each campaign or ad group and track the rate for each country you are advertising in, even in similar countries you can see huge differences when it comes to what works and what doesn’t. Next up on the dashboard we look at the cost per click or (CPC), which can also be monitored by campaigns. 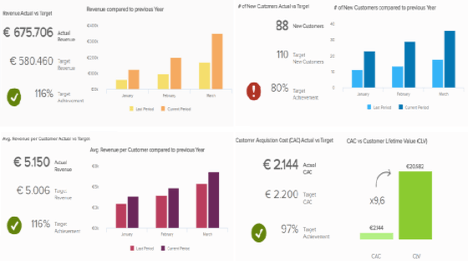 It is crucial for business success to have actionable data in an easy to comprehend way. 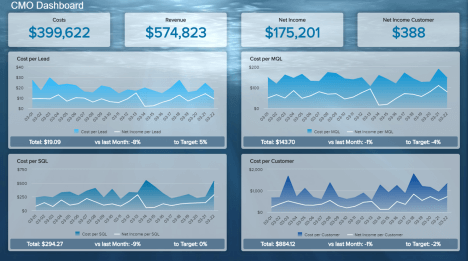 This is what our marketing dashboard examples focus on. 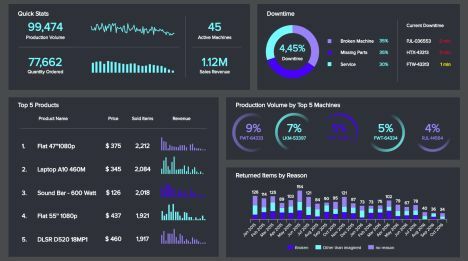 Finally the marketing performance dashboard looks at cost per acquisition (CPA) which is often considered the most important KPI in this dashboard. 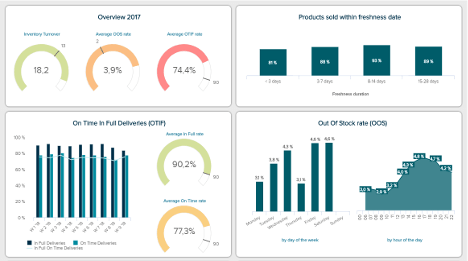 Having an answer to the question ‘How much are we spending for a new customer?’ depends on having this KPI presented to you in a simple and customisable way. 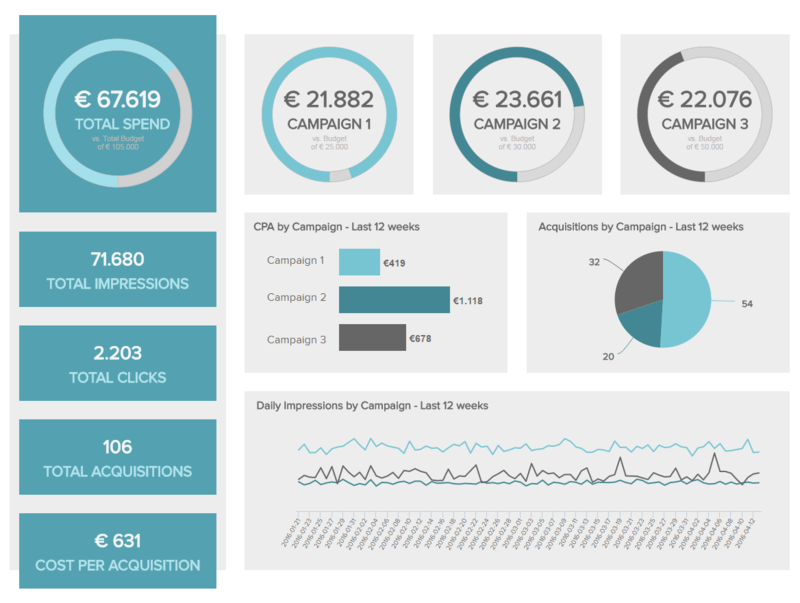 You want to be able to take a look at CPA for each campaign or channel? No problem. 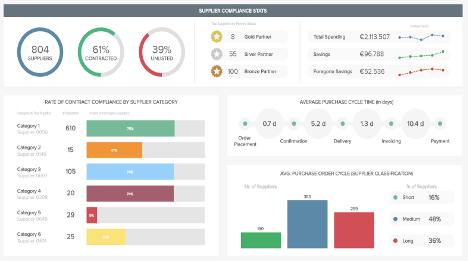 Additionally our marketing performance dashboard provides you with an overview of the overall CPA in the bottom left hand corner. 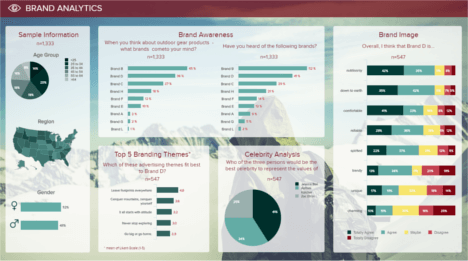 This marketing dashboard template shows all the data you need to strategically decide where to put your valuable marketing money. 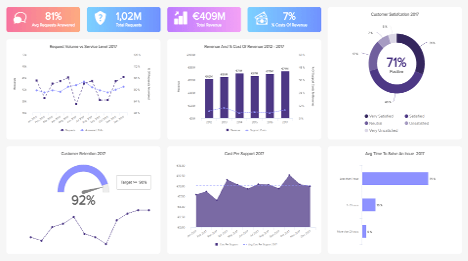 Our marketing KPI dashboard provides you with a quick overview of the most important marketing KPIs, which are of course cost and revenue stats. We know that these are the metrics that matter most to your bottom line and will therefore receive a lot of attention. 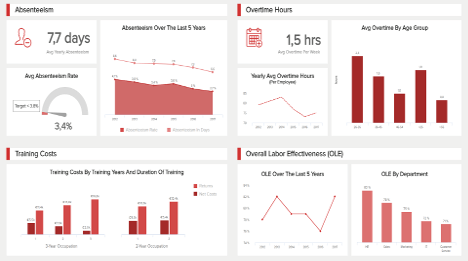 This is the reason we designed this dashboard to be as clean and easily viewable as possible. Be aware though that while it is great to improve on the number of sessions and increase the CTR, these changes don’t always lead to more profit or a higher return on investment (ROI). So while the marketing KPI dashboard provides a useful summary of cost and revenue stats, sometimes it can pay off to dig a little deeper. You need to present the marketing results to your CEO or investors? 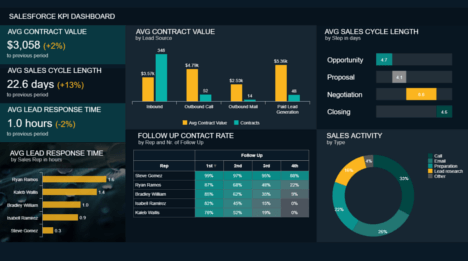 This is where our marketing dashboard example excels. Typically your CEO and investors are interested in the big picture, the bottom line and strategic decisions that advance the business. 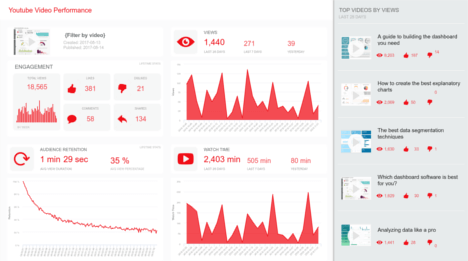 This is exactly what our marketing KPI dashboard does for you. 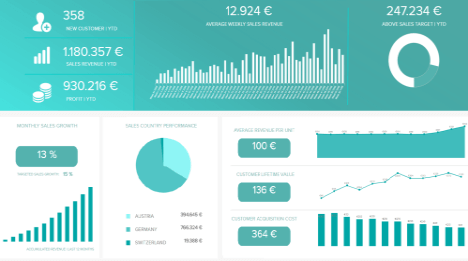 It aggregates all the relevant cost and revenue statistics in one place, so you can easily relate the revenue to the marketing efforts. 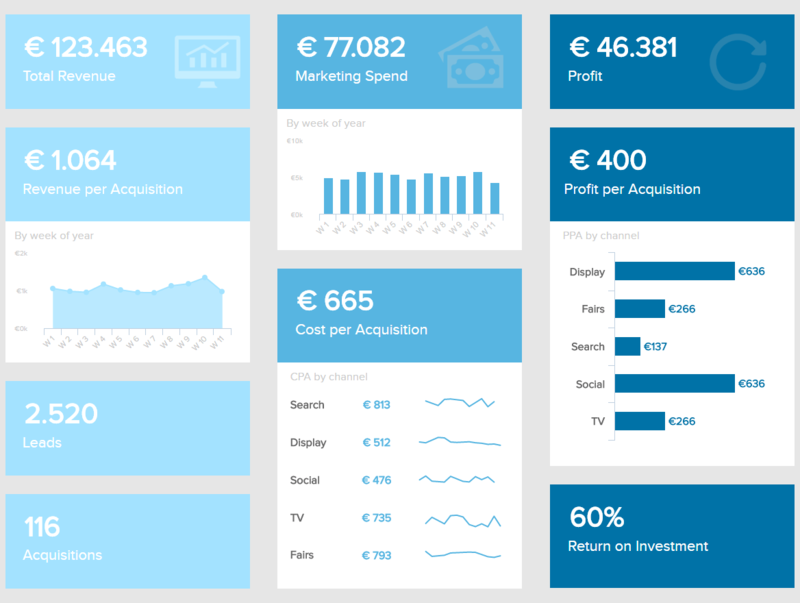 The dashboard starts off with looking at costs per acquisition, which is the amount it costs to gain a new customer. Of course you want to know which campaigns are acquiring the most customers at the lowest price, so it is useful to look at CPA across all campaigns and channels to see how you can bring on the most customers at the lowest cost possible. We also aggregate the revenue and profit per acquisition to measure exactly how much money you are making per customer. Once again, these KPIs are the most useful when you compare different channels or campaigns to determine where your marketing dollars should go in the future. This is the kind of big picture analysis that your CEO or investors are looking for.